Are you shopping for a gift of fine jewelry this holiday? While anything you give will be appreciated, you may want to consider the latest jewelry trends before you put a present under the tree. Jewelry stores across the nation have already updated their inventory to include these styles. Norman Hege Jewelers in Rock Hill is no exception. Here’s our expert staff’s guide to some of the best jewelry trends for the 2018 holiday season. 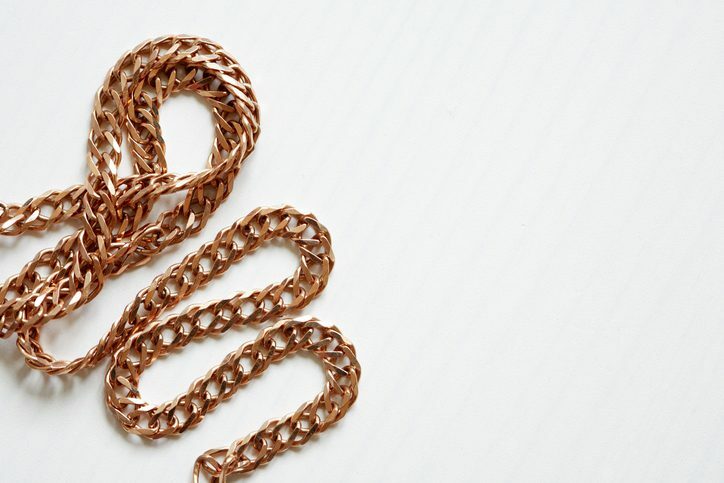 Gold chains – Larger, bolder gold chains are making a comeback. In fact, they’re a real hot-ticket item with today’s fashion influencers. Pendant chains are especially popular. Gold jewelry chains have always been considered a classic style. Unfortunately, the cost kept many people from purchasing the pieces they really wanted. However, thanks to current innovations in the jewelry industry, gold has become more affordable than ever. Stone- and sea-colored jewelry – Lapis lazuli, malachite, tiger’s eye are popular stone jewelry trends that you may have seen in fashion magazines or on celebrities. These accessories add volume to an outfit and are striking to look at. If you’re looking for a statement piece, consider picking up stone jewelry this winter. An additional trend is toward sea-colored jewelry. If you can find stones that resemble colors found in the ocean, that’s even better. You’ll be combining two trends at once! Chandelier-styled accessories– Next comes the elegance of another trend: chandelier jewelry. While this has been popular before, it’s worth taking a look at. Chandelier earrings add a perfect, graceful look to just about any outfit. Heart-shaped jewelry – Heart-shaped jewelry is another highly sought-after jewelry trend this season. There’s no better way to share the true meaning of the holidays than with a heart-shaped pendant, ring, or other piece of fine jewelry. Get beautiful jewelry that will be on-trend for the season but will also stand the test of time. Norman Hege Jewelers is one of the top jewelry stores in our area. Come by today and find the perfect gift for your loved one!